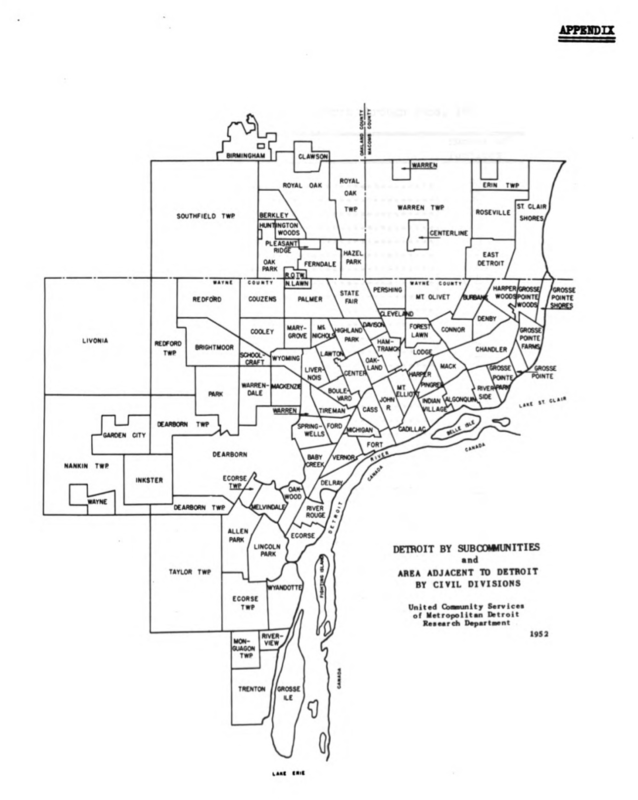 The United Community Services of Metropolitan Detroit used to be the major data and mapping group in the Detroit area. The organization later became the United Way. This map gives an interesting view on naming and division of the city into subcommunities. In 1952, Detroit was near peak population and it’s likely that some subcommunities had as large of a population as some of the nearby cities.